This morning The Children's Trust, an organization that leads statewide efforts to prevent child abuse and neglect, hosted a State Hose event to raise awareness of efforts to support children and their families. 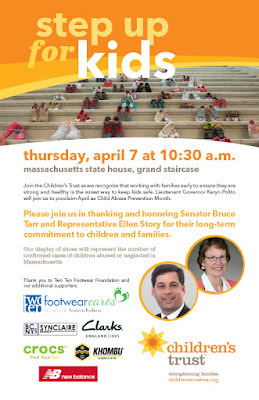 I was honored to receive their Senator of the Year award at the “Step Up For Kids” event. 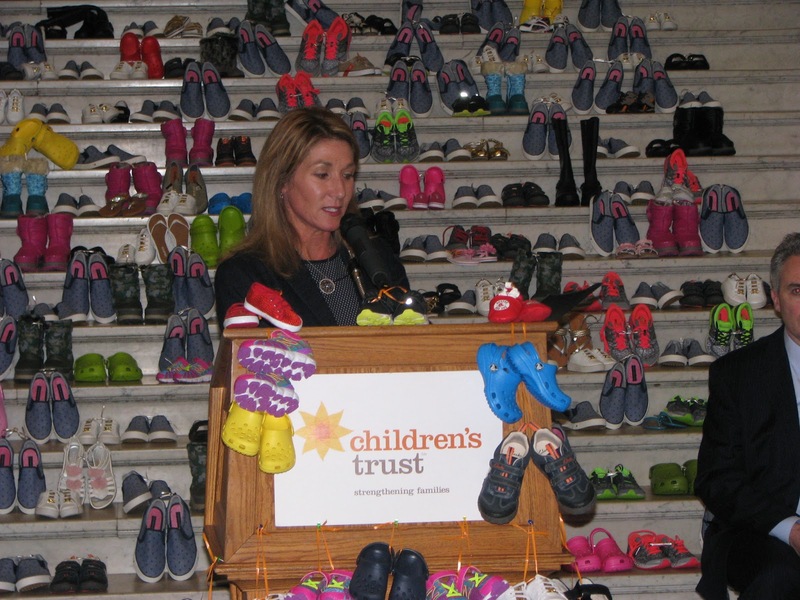 Behind me, as I stood at the foot of the Grand Staircase, were hundreds of pairs of children’s shoes each representing the average number of abused or neglected children cases each week in Massachusetts. A recent US Department of Health and Human Services report found that our state has the highest per capita rate of reported child abuse in the country. Lieutenant Governor Karyn Polito presented a resolution from Governor Baker proclaiming April as Child Abuse Prevention Month. 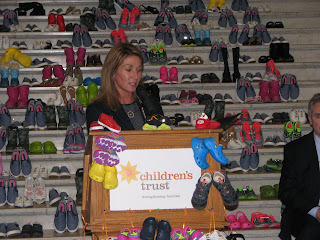 Suzin Bartley, executive director of The Children's Trust related the work of the Trust in helping connect parents and kids to keep kids safe and families strong. Also present was Maureen Ferris, Public Policy Director for the Trust who I have been honored to have worked with for many years. I look forward to continuing to work with the Trust, my colleagues and families across the state to help promote child welfare and safety.